Design is a certainly a critical aspect of any web site. However, even more important, is the development and coding of the site and its applications. Data Link Professionals uses only open source environments to create feature rich web and application based programs. By doing so, our customers can retain a high level of portability, and keep development costs to an absolute minimum without the extra overhead of licensing fee’s. Data Link Professionals has over 25 years of programming experience. 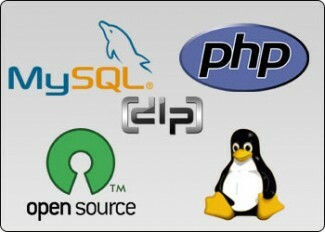 We excel in PHP and MySQL development, but also integrate newer advancements, such as ajax, ruby, and many others. DLP can help build your ideas into extraordinary applications. As technologies advance, web sites are becoming more complex. Integration into existing architectures is a key point to most corporate environments. DLP can help bridge the gap between your web based applications, and your employees and local business systems. By integrating your local area networks programs and data with your public website, you can create a better experience for both your visitors, and your employees.